A gathering of folks filled a classroom at CCV on February 7th ; everyone who joined was interested in learning about construction and the skilled trades industry. 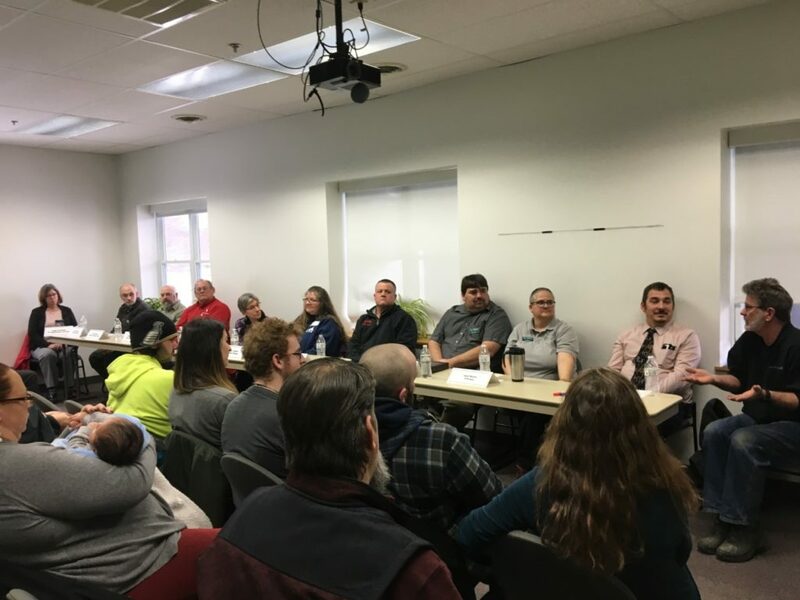 The panel included ten community members, including representatives from Percy’s Farm, Stowe Aviation, LWI Metalworks, Vermont Department of Labor, and an educator from GMTCC. The discussions and questions were varied and touched on topics such as training and education, employability skills, and personal stories were shared. This event was the second employer panel held at CCV and the team is beginning to plan a third for late spring!